more of this color in my closet. You are officially be my role model! I love your outfit.. always love! Love this! So cozy! The colors are fantastic. love the sweater coat! 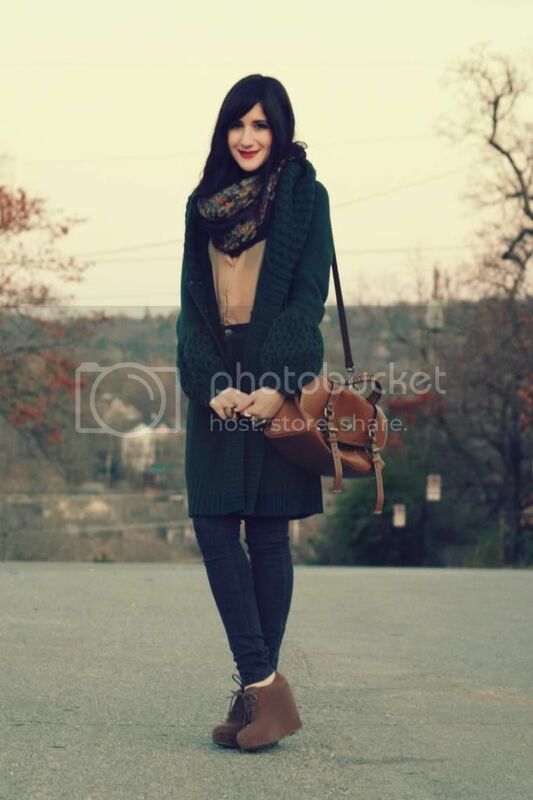 perfect for the winter season, and you're shoes are lovely too :) good luck packing for philly! That scarf is stunning. I love the print. What a beautiful cardigan you have!? It's gorgeous, esp. because it's very different than the other cardigans which I've seen so far. ahhh totally cute outfit! you look so snug. Your knit sweater coat is amazing! Love the color and the silhouette. The bell sleeves are such a quirky detail. Nice outfit. This is a lovely outfit! Your scarf is really nice! So winter chic! Have in Philly, cutie! Gorgeous yet impossibly snugly! Great palette again, and that scarf is just dreamy. What lush colors in your outfit- so pretty! I love your shoes. 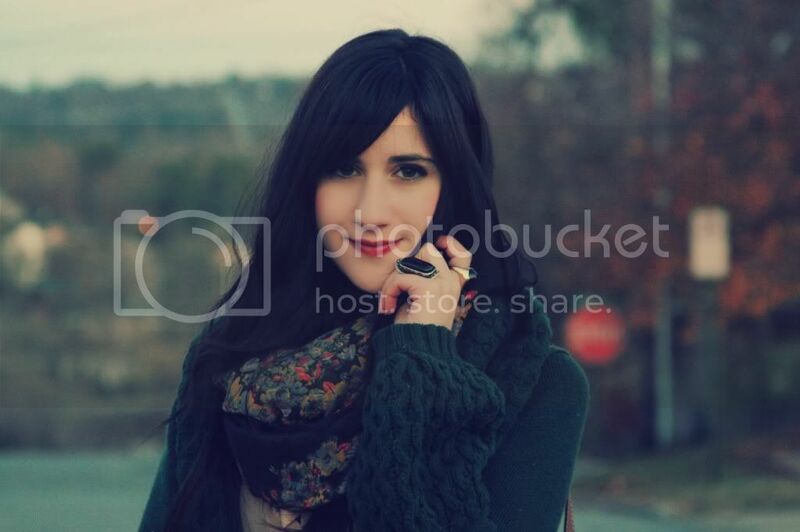 You're no crazy sweater lady :) I love layering chunky knits together. Also, that is such a pretty shade of green!! Your cardigan looks like the warmest ever! <3 and I love love love the shade of green on you! I think it's safe to say you win when it comes to the coziest sweaters and the chicest scarves! And the shoes are perfect! I am so in love with your scarf, Bonnie! And the color of your sweater looks amazing on you. I see no crazy lady dear, just one lovely girl in a great cozy sweater, love how long is it and the color! heyy you beautiful.. :-) . 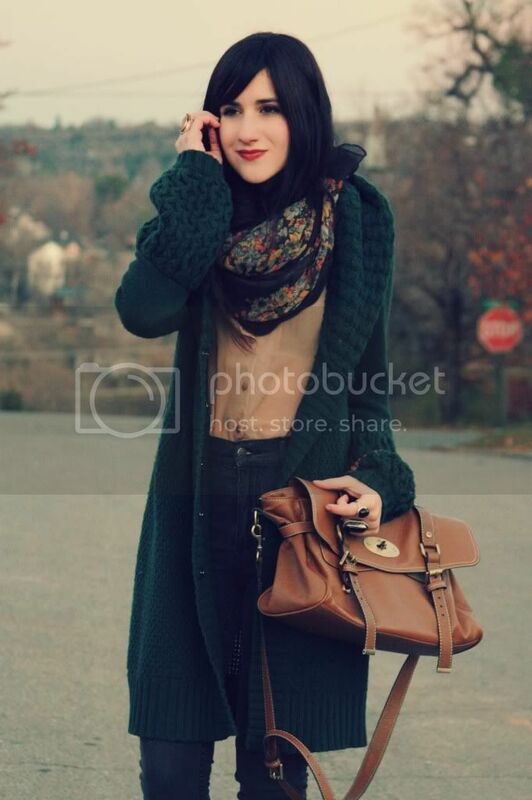 really like the combination.. sweater, and the scarf.. nice! That sweater is so cute! Im in love with how the bottom of the sleeves puff! That long card looks nice and warm. I also like its rich color. I find that I always "like" your posts so I can go back for inspiration! You always find the most amazing cardigans! That cardigan looks amazingly comfy. I love the deep green color of it too. Very pretty. Great wedge shoes too! Your coat looks really comfy and warm. Love your look..it's so cool & cozy! The cardigan looks great! gawd you're so pretty and looks sweet with that sweater. love from indonesia! This shade of green is stunning on you!! Its looks like such a warm, cozy sweater!! that sweater coat looks so comfy and warm! 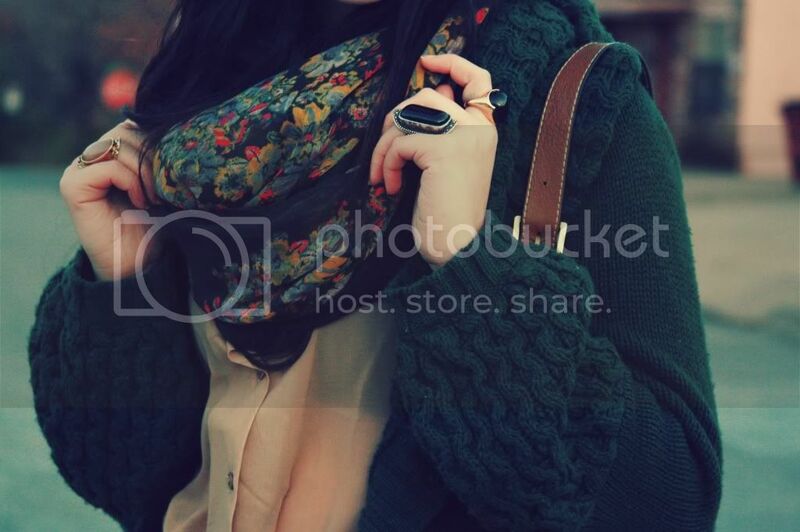 Hello, fantastic cardigan and your look is beautiful. Kiss. hola, preciosa chaqueta y pañuelo. have fun on you trip to Philly! That green is such a nice colour! This may sound odd but it looks really nice against your skin, haha. Everything about this look is wonderous! your outfit looks so cozy :)! That swearer looks so incredible! I wish I owned it. It looks awesome for a cold winter day, snuggling by the tv and drinking tea. I love your knit coat, really nice! Love the sweater coat, it looks warm and comfortable! The scarf is so pretty and I like the beigey peachy top underneath it. Lovely bag, great outfit! You look lovely, like always! love this look ( especially the bag) and also your blog! It's so nice!!! I follow you! Very cool look! I must say that i like every single piece of it. I'm absolutely head over heels for that sweater coat, such a beautiful colour! Love the way you styled everything. Deep forest green is one of my favorite colors, so beautiful! That sweater coat is one of the most beautiful pieces I have seen this weekend! The color is beautiful on you and those sleeves are so interesting! I love that forest green cardigan! You look so adorable Bonnie, and those wedges are awesome!